I told Jeremy to start him off real easy. 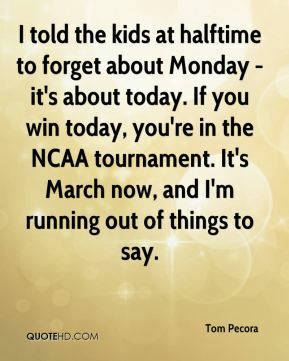 I told the kids at halftime to forget about Monday - it's about today. If you win today, you're in the NCAA tournament. It's March now, and I'm running out of things to say. 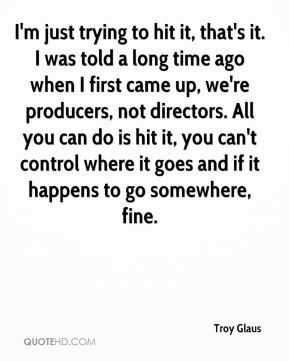 Tim told me that Terry no longer wanted to help him mix the bomb, ... Terry would have to help him because he was in it so far. I told him, 'You will be a major league manager. 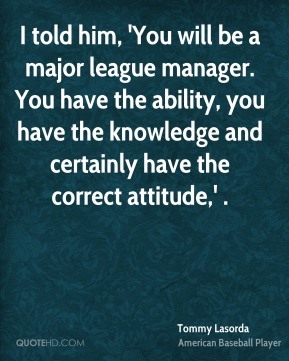 You have the ability, you have the knowledge and certainly have the correct attitude,' . I told the kids this was a night that they won in spite of their coach. 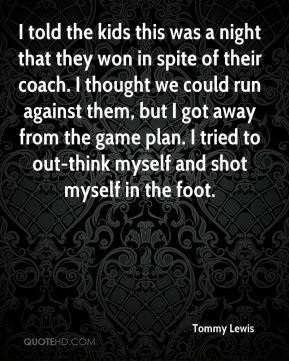 I thought we could run against them, but I got away from the game plan. I tried to out-think myself and shot myself in the foot. He had told me some wonderful things about Dr. Cleveland. It was hard to leave. I just told him to calm down and relax. 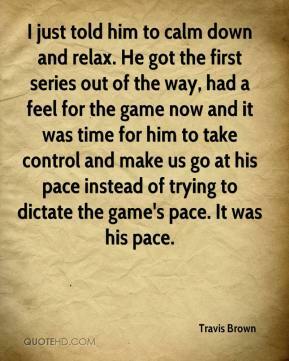 He got the first series out of the way, had a feel for the game now and it was time for him to take control and make us go at his pace instead of trying to dictate the game's pace. It was his pace. I finally did it. I'm real happy. I knew he was retiring and I always told him I would bring him a state championship home.. I feel real good and it makes me feel good that he feels good about it too. He can retire happy now. Bobby has helped calm me down. He's told me not to pay attention to a bunch of stuff, not to look at the hype. He told me just to wait and see what happens. It's impossible to know what will happen. 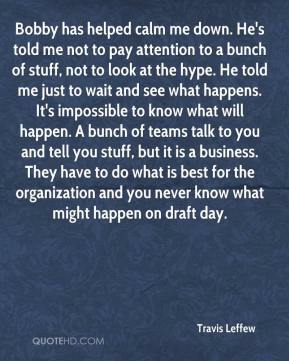 A bunch of teams talk to you and tell you stuff, but it is a business. 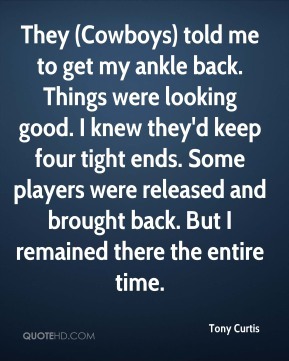 They have to do what is best for the organization and you never know what might happen on draft day. 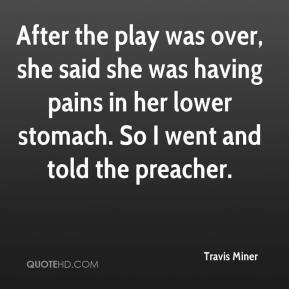 After the play was over, she said she was having pains in her lower stomach. So I went and told the preacher. 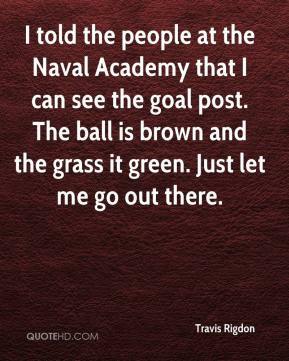 I told the people at the Naval Academy that I can see the goal post. The ball is brown and the grass it green. Just let me go out there. 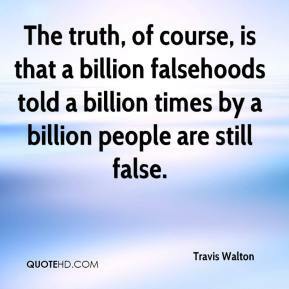 The truth, of course, is that a billion falsehoods told a billion times by a billion people are still false. I told the kids that this is something you don't forget. 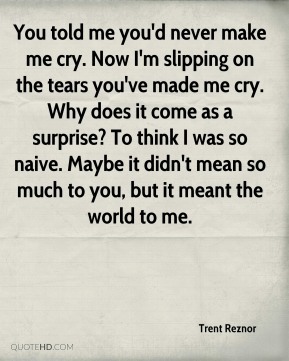 You told me you'd never make me cry. Now I'm slipping on the tears you've made me cry. Why does it come as a surprise? To think I was so naive. Maybe it didn't mean so much to you, but it meant the world to me. 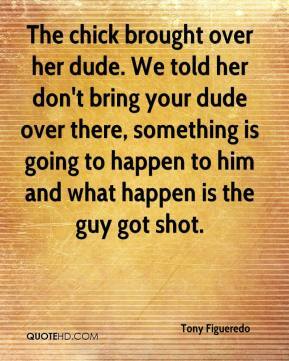 The chick brought over her dude. We told her don't bring your dude over there, something is going to happen to him and what happen is the guy got shot. My doctor told me Thursday that I could play with as much pain as I could take. 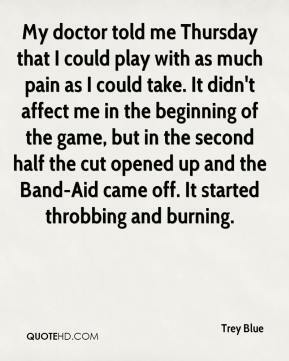 It didn't affect me in the beginning of the game, but in the second half the cut opened up and the Band-Aid came off. It started throbbing and burning. 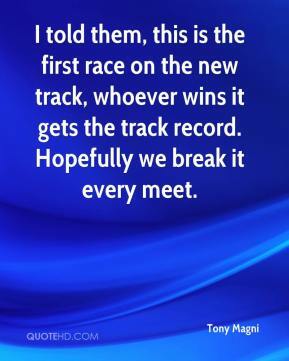 I told them, this is the first race on the new track, whoever wins it gets the track record. Hopefully we break it every meet. 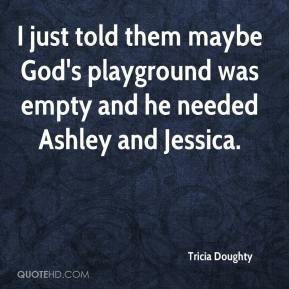 I just told them maybe God's playground was empty and he needed Ashley and Jessica. 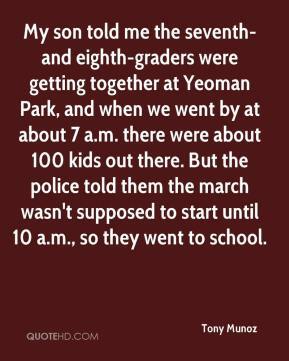 My son told me the seventh- and eighth-graders were getting together at Yeoman Park, and when we went by at about 7 a.m. there were about 100 kids out there. But the police told them the march wasn't supposed to start until 10 a.m., so they went to school. My wife listens to him all the time. I called her. She told me to ask him to sign a baseball for her. I got them. 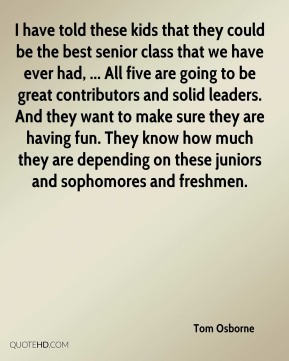 I told my guys there is no pressure on us because we were given a No. 4 seed. 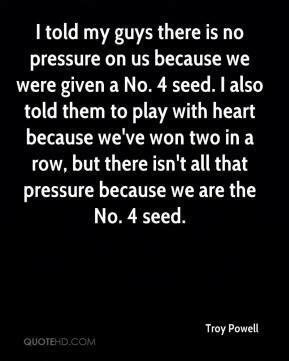 I also told them to play with heart because we've won two in a row, but there isn't all that pressure because we are the No. 4 seed.